Doris G. Traub, Esq. attended The New York University School of Law, where she wrote for the Annual Survey of American Law, and went on to graduate with her Juris Doctor degree in 1980. She has been litigating cases ever since. 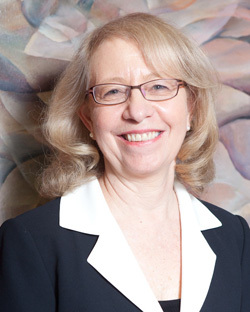 With more than thirty years in the practice of law, she brings a depth of experience to her representation of clients joined with a total commitment to advancing their interests through the law. Ms. Traub is admitted to practice in all of the New York Courts and has successfully argued before the New York State Court of Appeals – the highest Court in the State. She is also admitted to practice in the United States District Court for the Southern District of New York, the United States District Court for the Eastern District of New York, the United States Court of Appeals for the Second Circuit, the United States Court of Appeals for the Federal Circuit, and the United States Court of Federal Claims. In addition to her court work, Ms. Traub has litigated before many federal agencies on behalf of federal employees throughout the Northeast, including the United States Equal Employment Opportunity Commission, the United States Merit Systems Protection Board, the United States Office of Personnel Management and the United States Office of Special Counsel. She has lectured on effective representation of federal employees, and is also skilled in mediation and arbitration work. Ms. Traub is a member of The Bar Association of the Court of Federal Claims, The New York City Bar Association, The New York County Lawyers’ Association, The National Employment Lawyer’s Association (“NELA”) and is a member of the Board of The National Employment Lawyer’s Association of New York (“NELA/NY”) – the latter two organizations devoted exclusively to quality representation of employees.